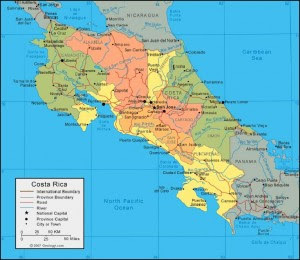 Costa Rica Castle: Thank You! A global community may sound like an idealistic dream, but on a person to person level I see the building blocks take shape. How we treat each other as people opens our eyes to the universal magic in all of us. Maybe this sounds a bit too esoteric so let's just say that when you do what you do with enthusiasm sometimes you get a care package! Mail is delivered to the Castle by a guy on a dirt bike from Samara who comes maybe twice a year and deserves the beer he expects for his trouble. On Tuesday he brought a package addressed to me with the added description "Cocinero Americano alto rubio" - did I mention I love surprises? The names on the return address didn't spark any memories, which is normal here since you remember the people more than their names. Inside the big envelope I found two new high quality grill brushes and a paperback along with a note. Iris and Manuel from Montreal visited my restaurant in January 2008 and tried the grill plates. I remember them well because they were so interested in my little Weber grill that I brought from the states. Come to find out they have the smaller version and wanted to know the tricks of the trade. We talked about grilling and science fiction and they reminded me why I like my job so much. A job made easier with better tools that I can´t just run out and buy - my old grill brush was frequently borrowed to scrape rust off windows so the upgrade is much appreciated! The book "The Left Hand of Darkness" is a good read from page one and again not something easily available in paradise. This is my first thank you post and my appreciation goes out to Iris and Manuel as well as those others who sent Christmas in a box (Claire, Kevin, Romi). Thanks for making me feel like a kid again!